Viva La Vida shifted plenty of units. Research by the BPI has indicated that one in ten albums sold in the USA in 2008 was by a British act. This means that the market share for UK artists has grown for the fourth consecutive year, and is up from 8.5% in 2007. This represents a significant achievement for British musicians, as America is a notoriously hard commercial nut to crack. 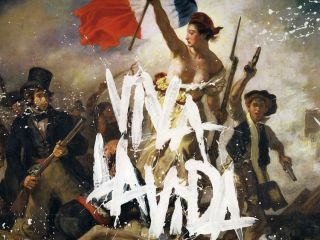 Coldplay's Viva La Vida was the biggest selling UK album there last year, followed by AC/DC's Black Ice (the band qualify because they have dual nationality). Other UK artists to achieve significant stateside success include Leona Lewis, Amy Winehouse, Duffy and Radiohead. Notably, Robert Plant was the only solo performer to make an impact - and his album, Raising Sand, was a collaboration with Alison Krauss.